Oh, you wanted electricity 24/7? DTE Electric Company, Michigan’s largest electric utility, uses a simple rhetorical device to explain the impact of solar and wind energy. But one expert says it misleads people by making renewable energy appear more useful than it is in reducing the need for electricity from conventional fuel sources. DTE Energy, for example, says its Pinnebog wind park in Huron County provides enough energy to power 24,000 homes. But Jason Hayes, the Mackinac Center for Public Policy’s director of environmental policy, says this formula is misleading. The problem, he says, is that renewable energy sources only produce power intermittently, which means consumers and businesses cannot depend on them to provide reliable power at any given time. According to Hayes, when DTE Energy says a wind farm can power 24,000 homes, people mistakenly envision 24,000 homes getting all their electricity just from wind. Given the nature of wind power, though, it can’t happen. 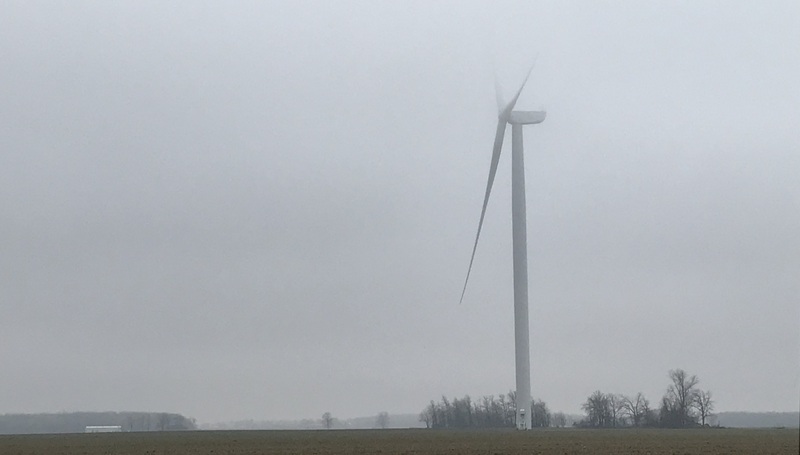 The Michigan Public Service Commission says that wind power has a 36 percent “annual capacity factor.” This means that if a home relied solely on wind turbines, it would only have power 36 percent of the time, or 8 hours and 36 minutes per day. Solar panels are even less productive, with a capacity factor in Michigan of just 13 percent. This would give a homeowner power for 3 hours and six minutes a day. The rest of the day, including from sunset to sunrise, DTE must provide electricity generated by coal, gas, nuclear or hydroelectric facilities. Consequently, Michigan’s other electric utilities must maintain just as much capacity in conventional sources — coal, gas, nuclear and hydropower — as they would need if no wind turbines or photovoltaic solar cells existed here. For without that full inventory of conventional power plants, the state could expect brownouts and blackouts the first hot summer evening when the air is still. It would face the same fate on long winter nights when all is calm. The use of renewable energy is largely driven by a 2008 law — then expanded in 2016 — requiring utilities to have a “renewable energy portfolio.” Wind accounts for 91 percent the power companies’ renewables, with solar adding another 6 percent. DTE lobbied hard for the 2016 law, which also requires it to tear down existing coal generation plants. Given the intermittent nature of renewables, coal plants will be replaced by installing new gas-fired generators, and the law allows DTE to charge consumers rates high enough to guarantee a profit for itself on both activities. Michigan households and businesses, then, pay not only for new windmills and solar cells, but also new natural gas plants. The result is likely to be a modest reduction in the use of natural gas, which is not facing a shortage. Thanks to new drilling techniques, the U.S. is the world's largest producer of natural gas and a net exporter of the fuel.